When you’re far from civilization, it can be impossible to carry important medication with you. But a new kind of miniature bioreactor could be used to create a variety of drugs, no matter where you are. Developed by a team at Oak Ridge National Laboratory, the device consists of two tiny parallel channels etched into silicon. Winding back and forth, the team has managed to fit almost 16 feet of the channels on to a chip, adding a membrane with tiny pores in to separate the two. Its works very simply. The reactor uses a mixture of acids and cell extracts to create proteins that can be used to treat conditions like diabetes, anemia, or some kinds of infections. The reaction takes place in one channel, then when the the device is shaken, the proteins pass through the membrane to another channel so that they can be collected for use. The research is published in the charmingly named journal Small. 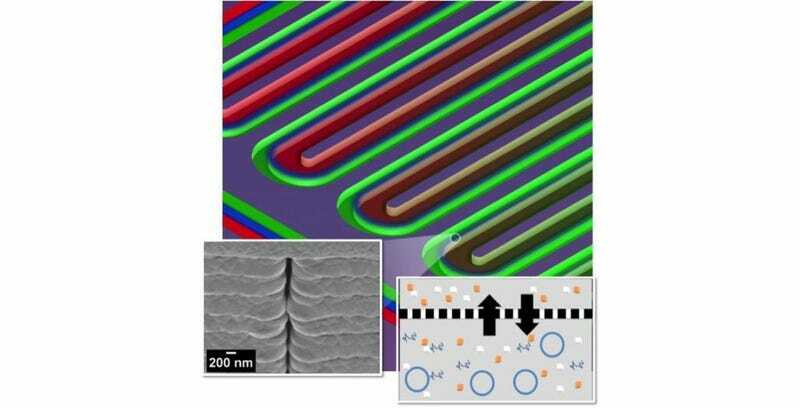 By tuning the device’s micropore membrane and the length of the channels, they device can be made to produce higher yields than many current commercial devices. While there’s no word yet on how costs stack up in comparison, it could prove a useful source of vital drugs that would otherwise be impossible to carry with constant refrigeration.